Community Spotlight | The Button Law Firm, PLLC Turkey Giveaway For Veterans - Dallas Personal Injury Lawyer The Button Law Firm is thankful for those who have served in our military and as a Thank You, we want to give our veterans FREE turkeys for thanksgiving! Turkey Giveaway - BIND Do you want a free turkey for this Thanksgiving? Sign up for one here! 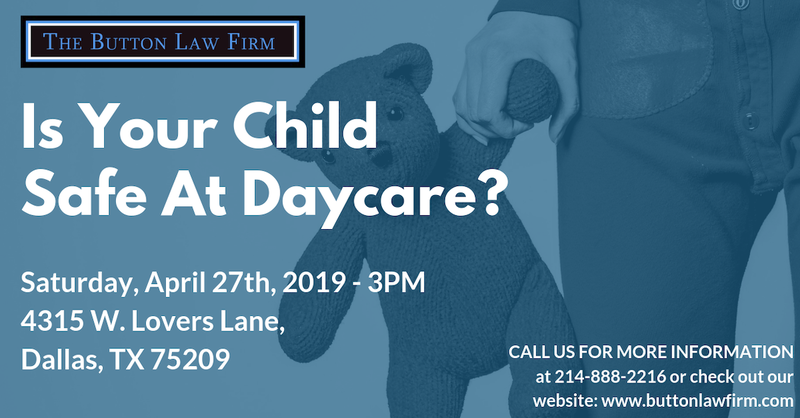 Mommy Makeovers Giveaway By Dallas Daycare Negligence Lawyer Do you know a hard working mother? Nominate her to win our first Mommy Makeover from The Button Law Firm in partnership with The Orange Salon! August's Community Spotlight: Valerie Gotcher Valerie Gotcher is the Founder and Executive Director at BIND. Read more about her story here! April's Community Spotlight - Wild About Harry's Do you love Wild About Harry's? Check out our interview with them on how the business got started! May's Community's Spotlight - Flower Child Do you love healthy fresh and delicious food? Flower Child is the restaurant for you! Check out Hot Button Issue's May Community Spotlight. June's Community Spotlight - Ed's Ed is professional and gets work done! Click here to read why The Button Law Firm loves Ed.